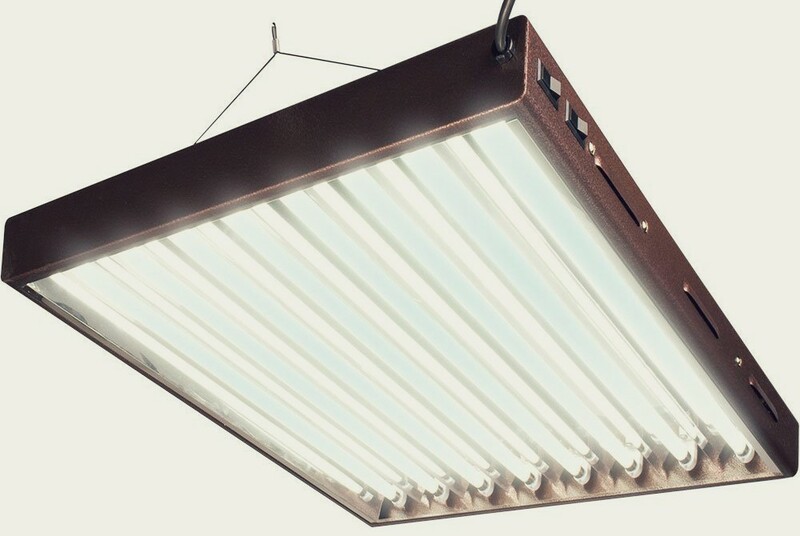 This light fixture is produced by one of the main grow light manufacturers in the US – a company called Hydrofarm. 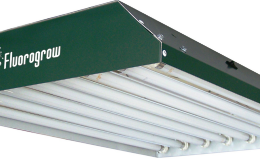 If you know anything about grow lights then you probably have heard about this company because besides T5 grow lights they produce everything from LED lights to air purification devices to nutrients for plants to help them grow better and faster. And since Hydrofarm have been in the business of making and selling hydroponics and grow light for almost 40 years they are not only the best but also one of the oldest companies of this kind giving them the mark of respect, knowledge and innovation. 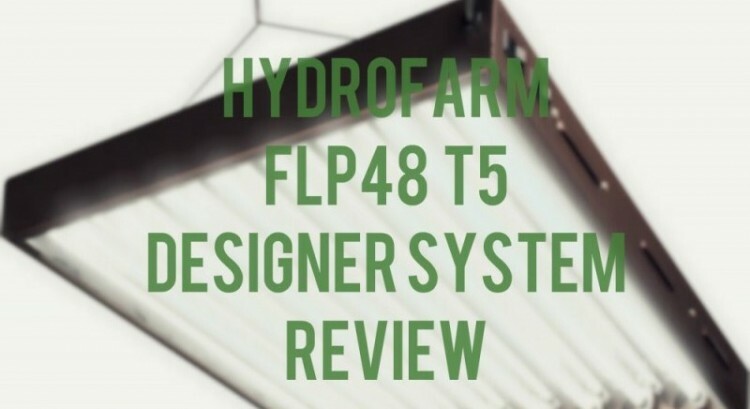 For those who want a grow light that will be able to cover a large area with powerful light yet doesn’t give out a lot of heat then this Hydrofarm T5 fixture is perfect for you. 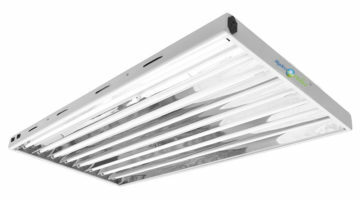 It consists of eight 4 feet long T5 bulbs that are placed in a steel housing and there is a ballast that ensures the steady volt flow to all of the bulbs. 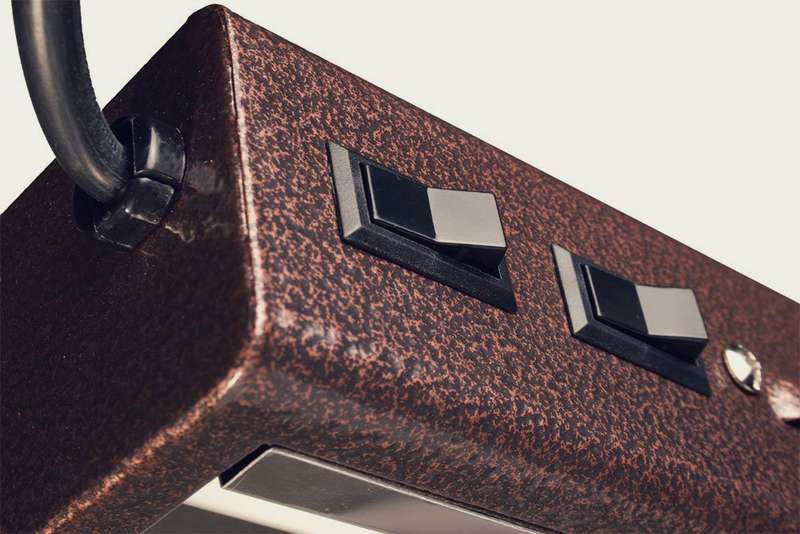 Each of the eight bulbs burn up 54 watts making the total wattage for this fixture 432 watts. 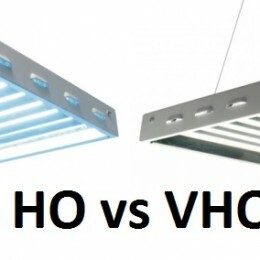 But if that seems a lot then consider that for those watts the fixture give out light that is 40,000 lumens bright making sure that the plants that are under this fixture get the best and brightest possible light. Some of the special features of this fixture include a double switch that allows you to turn on only two outer bulbs on each side of the fixture or only four of the inner bulbs letting you variate with you light as well as tailor it to the growth stages of the plants. Also the fixture can be daisy-chained with other similar fixtures letting you easily expand your indoors garden and you have the ability to hang up the light either horizontally or vertically to ensure the best placement of the lamp. The reflector that this light features is one made from high performance faceted specular aluminum so that the light distribution of this lamp is top notch and all of light is reflected back to the plants growing under the light. 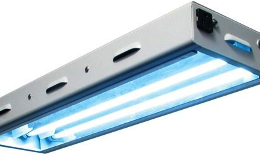 But the ballast that is used in this fixture is an electronic ballast that ensures that the fixture runs smoothly as well as turns on without glitches and without flickering. Because this is Hydrofarm’s Design fixture it has special design and the company has taken special care to craft the housing of the fixture. The housing is made from texturizes steel and powder coated in brow color. The steel ensures that the fixture is sturdy and can withstand even harsh conditions but the powder coating ensures durability as well as style to the fixture. And there are slots on the sides of the housing that helps with the heat distribution and provide that the light cannot overheat even if it is placed in a very small and hot space. The fixture comes with eight vegetative bulbs that has the color temperature of 6,400 Kelvins meaning that the light that comes from these bulbs is close to sunlight in color and will help the plants to grow faster. 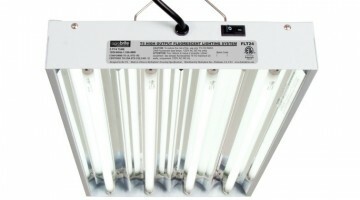 That is why you should mostly use the fixture with these bulbs when your plants are just starting to sprout or while they are still growing but when it comes for them to start blooming I would recommend to change the bulbs to 3,000 Kelvin ones because they give out warmer light and will be more suited to flowering plants. 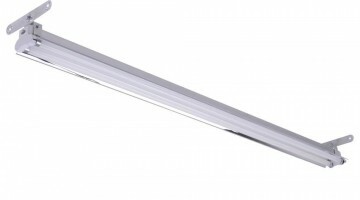 Thanks to the fairly small dimensions of the fixture 46.2 by 24 by 2.4 inches in height it can be called a low profile light that won’t draw much attention to itself. And it is only about 26 pounds in weight so you will be able to move it without that much effort.